Units for 2-8 or entire property for up to 26. Featured on Great Escapes, Travel Channel & Style Network. Our 3BR/3BA House is perfect for families. Main floor: Large kitchen, dining area, living room w/fireplace, main bedroom has queen bed and back bedroom has double and twin beds. Two full shower bathrooms on main floor. Upstairs children's bedroom has 2 double beds and 1 twin bed. Bathroom designed for children with claw foot tub. TV's, DVD/VCR w/free movie rental from office. This house will accommodate 6 adults or families up to 8. Combine with other units on the property for up to 26 (total of 10 bedrooms, 7.25 bathrooms, 22 beds. Great for reunions. FREE WiFi. 1BR Suites, 1BR & 2BR Duplex Units and 3BR Houses. Units for 2-8 or rent entire duplex and both houses for up to 26 people. Luxury 1 bedroom suites for 2 adults with full kitchen, dining area, living room, bedroom and bath with shower or jetted tub & shower. 2TV's, 2 VCR/DVD, free movie rental from office, 2 Phones w/free local calls, Terry Robes, Slippers , luxury bath amenities including hair dryer, iron & board, scale, complimentary coffee (fresh beans w/grinder), teas, cocoa, popcorn, candy, cookies, snacks and more. Each suite has a 20 foot deck with table and chairs, barbecue seasonal. 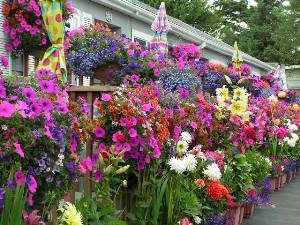 Property is covered with award winning flowers in Spring, Summer and Fall. 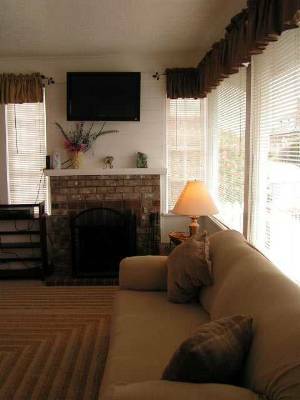 Within a few short blocks of beach, river and downtown Broadway St. Great for romantic getaways. Visit our website to view more info for our 1BR Suites, 1BR & 2BR Duplex units and 3BR Houses. All units have kitchens. Many have fireplaces and/or jetted tubs. Wonderful family units. Units for 2 to 10 people. Rent entire rental property (multiple units) for 20-26 people. Our website will give you further details and photos. All units are very clean and close to beach & Broadway St. Terrific location. All units are non-smoking and no pets allowed. Complimentary beverages & snacks. Free movie rentals. 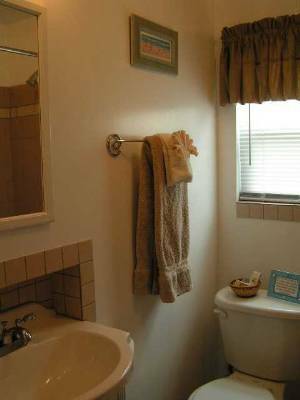 Amenities vary with each unit type. Not all have fireplace or jetted tub. Houses have dishwasher. FREE WiFi all units. No phones in Duplex Units or Houses. Duplex & Houses have laundry room. Offical end of the Lewis & Clark Expedition. Special events thoughout the year. Something for the entire family. Within a few short blocks of beach, river and Broadway St.
Suites & Office, Summer Flower Display. Kitchen area of House #1. 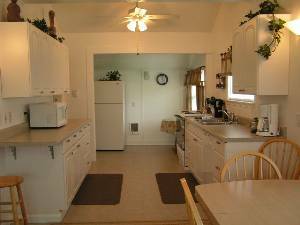 Large kitchen/dining area. Children's room in upstairs of House #1. 2 double beds, 1 twin bed. Main floor bath with jetted tub. Nice family beach house. 3BR/2BA. Award winning summer flowers. A must see attraction. Living Room House #2. Nice knotty pine & fireplace. Great house. Upstairs east bedroom. 2 double beds & 1 twin bed. West upstairs BR has 1 double & 1 twin bed. "We are so happy to have found your property. The units are wonderful and look brand new. All the complimentary extras would have cost $$$$ in any hotel. This is the best property in Seaside, by far. Thank you and we will tell our family and friends"
"What a perfect place to stay. The flowers can only be appreciated in person. I have never seen so many different flowers, they are beautiful. Our unit was the nicest we have ever found (anywhere). We will be back next summer and thank you for the extra amenities"
Rates are for 3BR House and based on 6 adults or families up to 8. Rates may vary Low and Mid season, holidays & special events. Visit our website or contact us for details and rates for 1BR ($120L-195H & 2BR ($155L-225H)Duplex Units and 3BR ($225L-295H) Houses. Holidays may require 3 night stays. 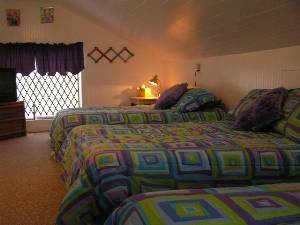 Vacation Rentals (Houses & Duplex Units) usually require 4-5 night minimums July & August. Sometimes shorter stays are available. Units for 2-8 or entire rental property for 20-26 people (multiple units). Rates per night for entire property: Low season $650-$795, High season $795-$995. Contact us for availability. Rates may vary due to holidays and special events. Cancellations and Refunds: 48 hour cancellation policy for Suites. Holidays and special events may require 7-14 day cancellation policy. Vacation Rentals require 45-60 day cancellation (depending on time year). Please contact us for details. Other Fees: Vacation Rentals require a security deposit that is refundable per contract. If unit/property is left in good condition, your security deposit is reundable. Saving you the cleaning fee.